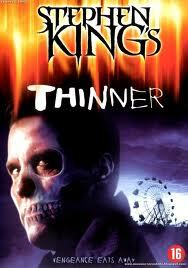 Generally Stephen King's stories do not translate well to film, and the reviews of THINNER have not been too good. Personally, I found the film very true to the book and well acted. The visual effect of the overweight attorney shedding hundreds of pounds was excellent. For those who have not read it, the story is of a highly successful lawyer, in a small Maine town, who accidently kills a gypsy woman while driving on the main thoroughfare of his town. The woman's father puts a curse on him after the town officials (judge and police chief) dismiss charges against the lawyer after a summary hearing. The curse causes the attorney to lose three pounds of weight each day. At first, completely unaware that his weight loss is due to the curse, the man and his family are delighted with his weight loss. But as he continues to get thinner at the rate of over 30 pounds a week, the weight loss becomes an issue of concern. The lawyer's fear increases when he learns that the judge and the police chief have also been made victims of the gypsy curse. 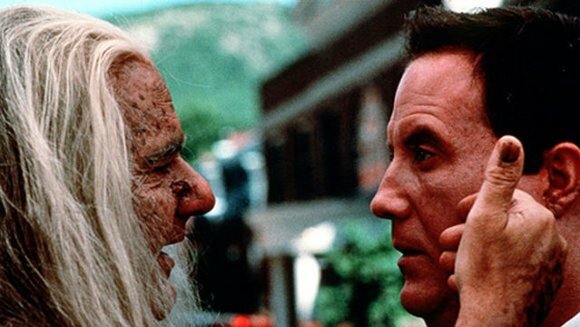 The movie builds in excitement and tension as the attorney and his crime boss friend track down the gypsy in an attempt to get him to remove the curse. The cast includes Robert John Burke, Michael Constantine, Lucinda Jenney, and Kari Wuhrer. The appearence of Joe Mantegna as the crime boss adds a special touch to the film. Running time is 99 minutes.